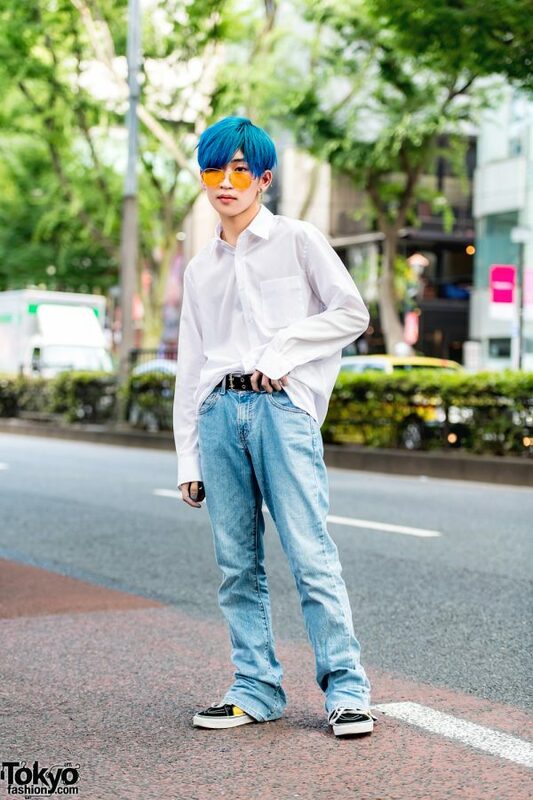 One afternoon we met Hikaru, a 17-year-old fashion college student whose minimalist blue-and-white street style easily caught our attention. 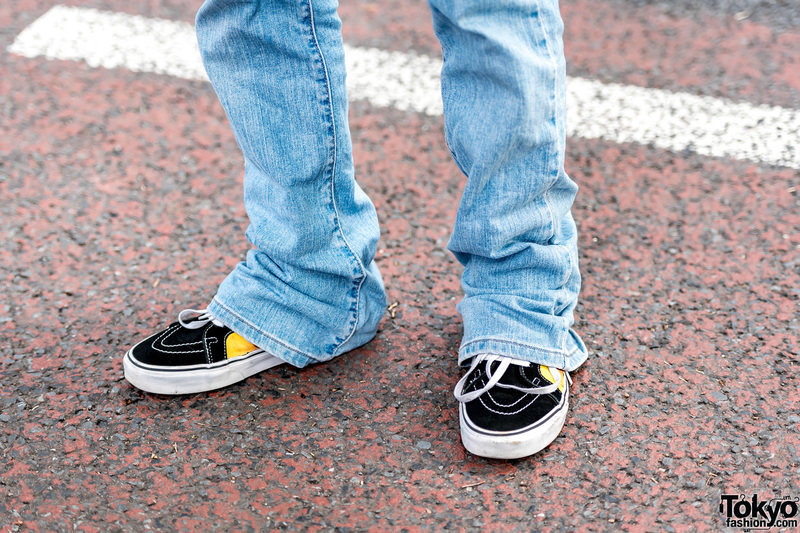 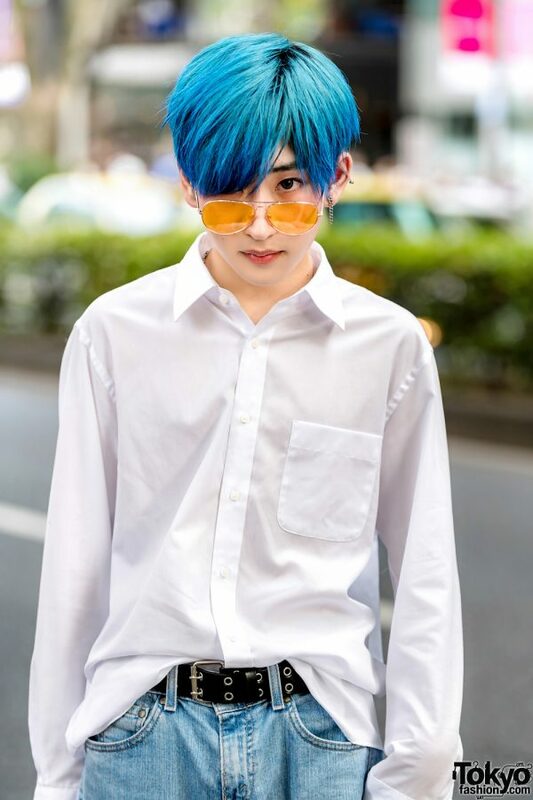 Sporting blue hair, Hikaru is clad in a white long sleeve collared shirt, which he tucked into denim jeans and styled with a pair of black-and-yellow Vans sneakers. 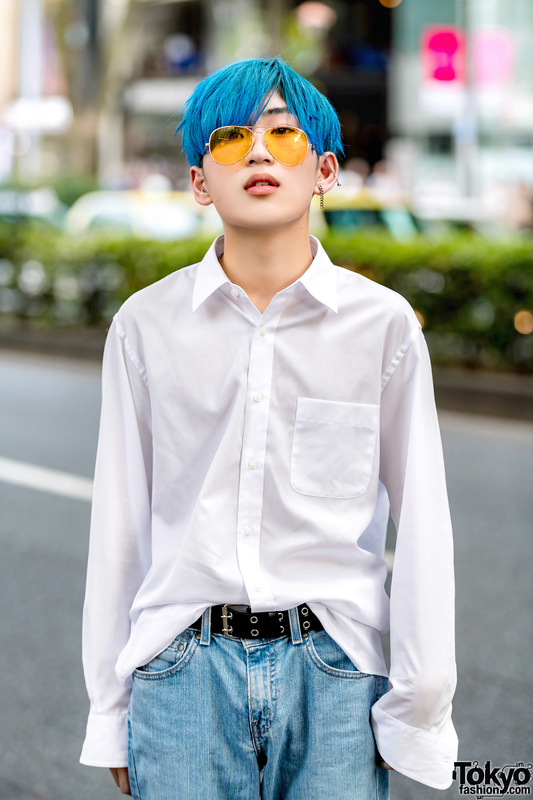 His accessories – from Never Mind the XU and Another Youth – include yellow-tinted sunglasses, silver ear piercings, a silver chain earring, and a double grommet leather belt. 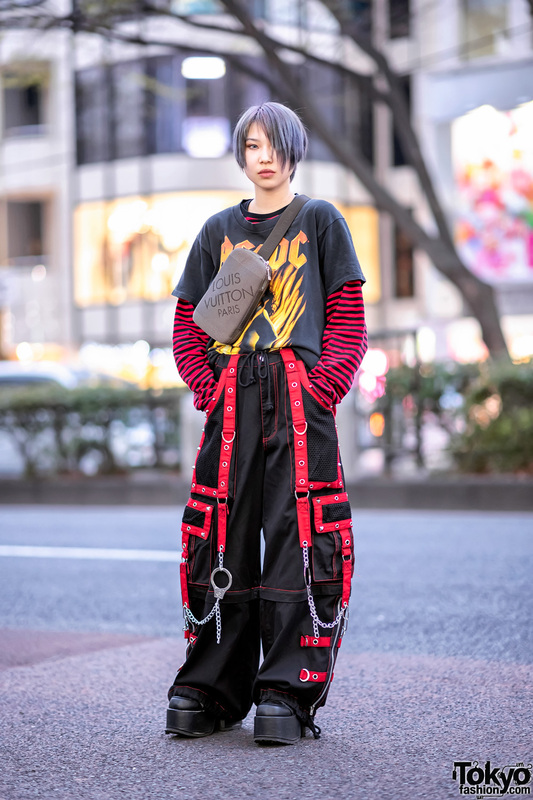 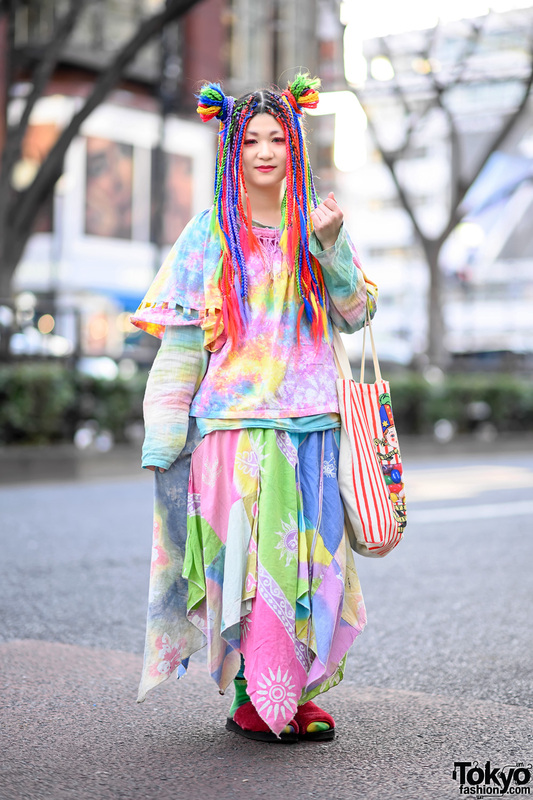 Hikaru’s favorite fashion brand is Never Mind the XU, and he is active on Instagram.